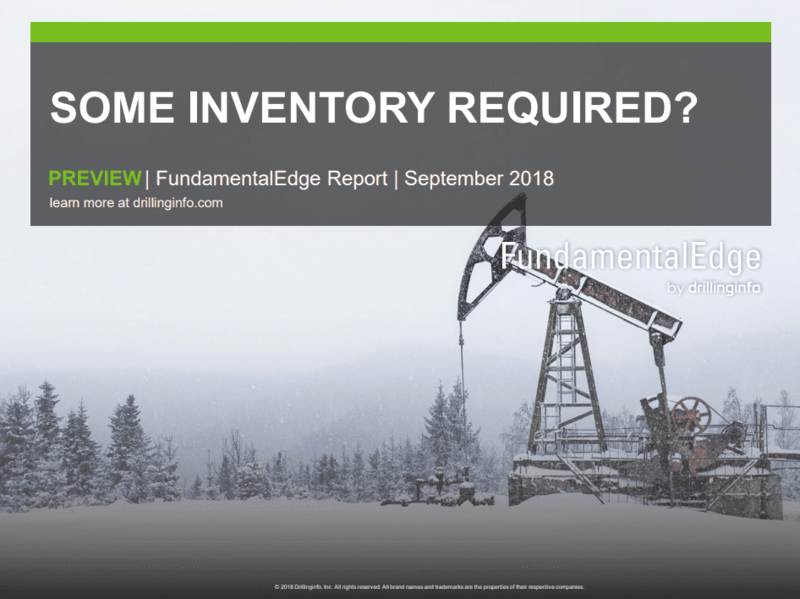 Austin, TX – Drillinginfo, the leading energy SaaS and data analytics company, has released its latest FundamentalEdge series report, Some Inventory Required?, which draws from several key domestic and international events affecting the company’s current view of the oil, natural gas and NGL markets and where they are headed over the next five years. The report details impacts on crude oil price drivers, potential inventory growth, OPEC, Iranian sanctions, and the situation on the ground in Venezuela. “Since the US surpassed the 8.5 MMBbl/d of production mark in 2016, every additional barrel of crude oil produced in the US has made its way to the water to get exported. This trend will continue, and exports will have to grow together with the growth in domestic production. 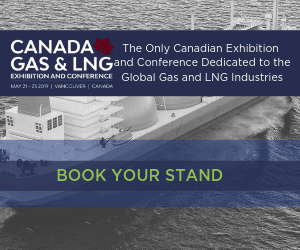 There will be a need for infrastructure to support the movement of these volumes to the water and further onwards to end markets around the globe,” said Sarp Ozkan, Director of Energy Analysis at Drillinginfo. Also highlighted in the report are findings derived from OptiFlo Gas, a new product developed by Drillinginfo that incorporates operations research technology to create an optimization solution for natural gas forecasting and modeling. OptiFlo Gas draws from Drillinginfo’s strength in supply and demand forecasting and allows users to gain insight into the ever-changing balance of the natural gas grid that directly impacts the value of infrastructure assets. The product allows companies to connect the dots between natural gas supply and demand to understand where the optimal value lies between where gas is produced and where gas is consumed. 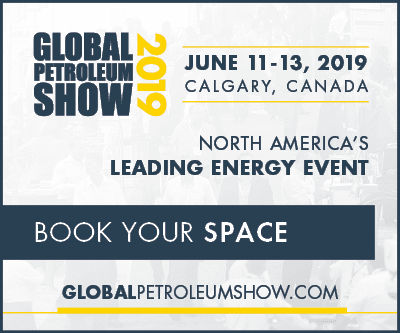 “There is a constantly changing balance of the natural gas grid that directly impacts the market value of infrastructure assets,” said Rob McBride, Senior Director of Market Intelligence at Drillinginfo. “While there is a tremendous focus on oil in today’s market, natural gas affects it in every way. The ability to understand the economic impact of changes in the natural gas grid is a valuable asset. Drillinginfo’s expertise in forecasting supply and demand also complements this capability, giving users a comprehensive view of the US natural gas market from wellhead to end-user,” said McBride. “By creating OptiFlo, we’re empowering corporate developers, commercial investors, and gas traders to forecast on an annual basis over a 25-year horizon to ensure the most profitable, long-term investments are made,” he said. Assuming normal weather, Drillinginfo expects natural gas storage inventories to reach 3.3 Tcf by November 1, 2018 — a record low since 2010. The crude oil oversupply that started three years ago and led to the price capitulation down to lows near $30/Bbl in January 2016 has been curbed thanks to OPEC’s supply cuts and, in particular, the spiraling downward trajectory of Venezuelan production. However, as the additional production brought back by OPEC and growing US production continues to keep a lid on price gains, the Iranian sanctions and the situation on the ground in Venezuela continue to keep the bulls in the market. Despite record high production of natural gas, storage inventories will end the injection season at record lows. While large increases in overall US production has mitigated the need for large inventories, peak winter days will still require a call on storage. As such, expect prices to climb as we end injection season at inventory levels that are too low given persistent growth in YoY demand. Increased volatility and additional upside risk is expected if winter temperatures are colder than normal. Longer term, gas production is expected to increase to meet expected demand growth with natural gas prices trading between $2.60-$2.75 per MMBtu. Infrastructure changes are driving volatility in NGL prices. Fractionation constraints along the coast, especially in Mont Belvieu, and increasingly shrinking capacity in LA and NM are driving ethane prices higher to meet export demand and new petrochemical demand (demonstrated by Exxon’s new Baytown steam cracker). As new fractionation capacity increases, it opens doors for increased exports. The LPG is expected to hit the water on the coast, and MLPs like Orbit are announcing projects to handle the export demand, with Enterprise Products Partners not far behind. E&P companies continue to focus on returning cash to shareholders, funding capital within cash flow, and reducing leverage. Increased prices bring increased activity, and the industry now battles cost inflation increases, labor shortages, and infrastructure constraints. Permian differentials have some producers contemplating a slowdown but, so far, production continues to climb higher. Oilfield Services companies are calling their outlook “outstanding” and expect “2019 is going to be humming” – almost none report negative effects of constraints in the Permian. We continue to watch as efficiencies make up for the “living within cash flow” strategies and will look out for producers’ ability to withstand costs inflation in an increasingly positive price environment.